The company Well and geothermal drillings Ltd. was founded in 2000 and registered with the trade authority. 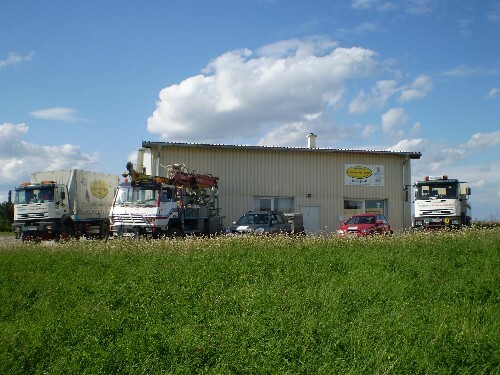 Well and geothermal drillings Ltd. is operating as a licensed trade according to the Austrian trade regulation act 1994 § 208.The location of the company is A-3542 Gföhl, Eisenbergeramt 117, Bezirk Krems, NÖ. The company is authorised to establish all types of wells (drilled wells – new shaft wells-reborings, and tappings of springs – new and rehabilitations) in the entire Austrian federal territory. Furthermore the company is authorised to carry out these operations in the territory of the Member States of the European Union. In addition, the company is authorised to construct water pipes and to install well pumps . Regarding the water prospection, Walter Reiter, owner of the company, is a licensed dowser and carries out the water prospection himself.